Model 2635G Grind is designed to capture dust created during grinding processes using hand held grinders. 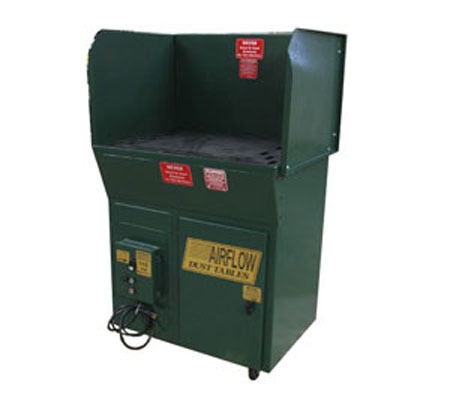 A 3/16" metal plate top provides a durable grinding surface, and a 20" three-sided spark shield provides protection for other workers in close environment. This model comes equipped with a spark filter to help reduce the risk of filter fire. Push button cleaning blows dust from the cartridge filter and drops dirt into the pan below. The filter cleans down to .5 micron at a 99.95% efficiency.